Turin does not know Nienor and he brings her back to Ephel Brandir. He tells her his name is Turambar. He calls her Niniel, Maid of Tears. Brandir heals Niniel. Months pass and she learns to speak again and helps Brandir with his lameness. Turin grows very fond of her. Turin and Niniel fall in love. Against Brandir’s advice, he asks for her hand in marriage. Brandir warns Niniel of the curse on Turambar’s family, as he has fallen for her as well. Niniel says the shadow on him has been lifted. 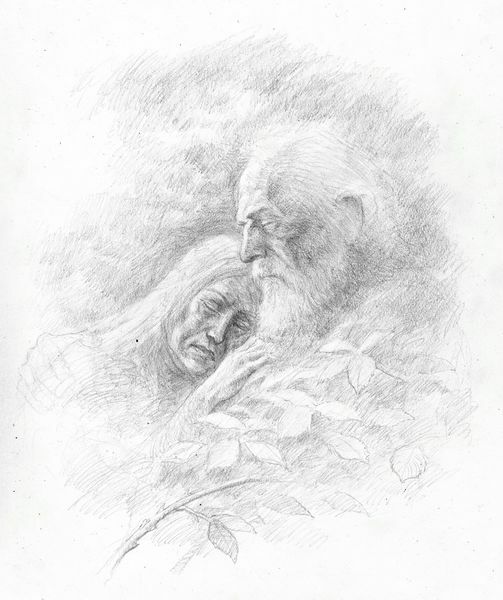 Seeing his children unknowingly fall in love breaks Hurin’s mighty spirit. Morgoth taunts him once more. Turin and Niniel wed with a great feast. The men of Brethil honour them with a house of their own. That night she becomes pregnant. Mablung returns to Thingol in shame. He steps down as Captain and leaves to find Morwen and Nienor. Dior and Nimloth are wed in Menegroth. Dior and Nimloth return to Ossiriand. 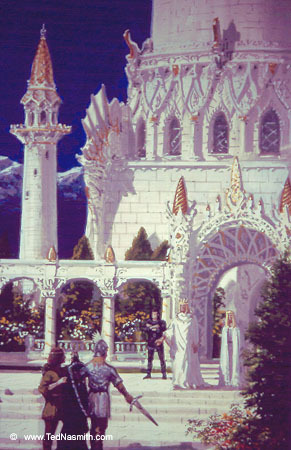 Tuor and Voronwe reach the gate of Gondolin. They are taken as prisoner to Ecthelion. Tuor shows him the weapons and armour of Vinyamar, and Ecthelion knows he has been sent by Ulmo. Ecthelion brings Tuor to Turgon. Tuor gives the warning said to him by Ulmo, but his eyes are drawn to Idril. Thorondor brings word of the Fall of Nargothrond. Maeglin speaks against Tuor. Turgon refuses the bidding of Ulmo and decides to stay in Gondolin. Tuor courts Idril, telling her tales of the outside world while she recounts the adventures of the Noldor. Maeglin watches them from afar. 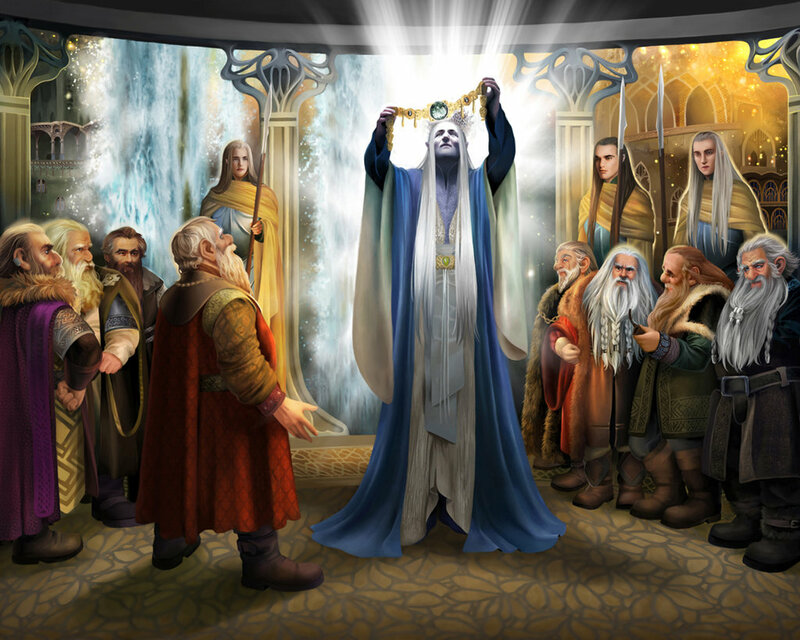 The people of Gondolin take kindly to Tuor, including Turgon. He gives Tuor leave to be with Idril if he wishes. Adapted from chapters ‘Of Turin Turambar’, ‘Of The Ruin of Doriath’ and ‘Of Tuor and the Fall of Gondolin’ from The Silmarillion, ‘Of Tuor and His Coming to Gondolin’ and ‘Narn i Chin Hurin’ from Unfinished Tales and ‘Nienor in Brethil’ from The Children of Hurin. Glaurung sends his orcs to Brethil. He follows after. Dorlas rides against the orcs, but is driven back. He returns to Turin with the news. Turin takes up Gurthang agains and rides out. Turin kills the orcs, but further news comes of the forest burning in the west. Turin returns to Niniel and tells her Glaurung has come for him. He leaves with a band of woodmen to kill the dragon. Turin finds Glaurung near Teiglin and sets men to watch him. With Dorlas and Hunthor, Turin begins to hunt the dragon. Niniel refuses to sit and wait for her doom. With many others she leaves to find Turin and his men. Brandir curses his followers for disobeying him. He breaks his staff and declares Turin Lord of Brethil before following Niniel and the others. Dorlas turns back at Cabed-en-Aras. Turin and Hunthor continue on until they are below Glaurung. 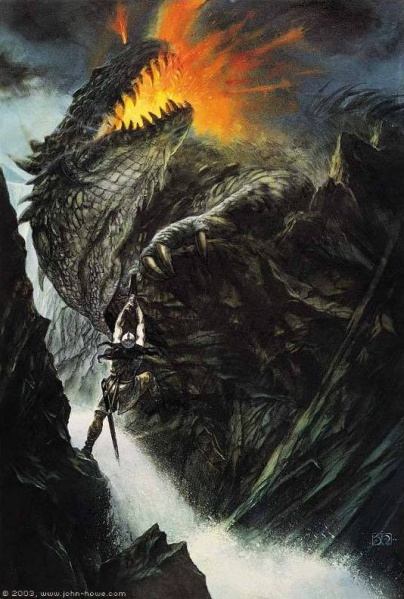 Glaurung begins his assault, crossing the ravine. Turin climbs up below him He stumbles but is caught by Hunthor, who is hit on the head by a stone and falls to his death. Turin climbs up to Glaurung and stabs his belly with full force. Glaurung screams and flings himself to the shore, where he writhes in agaony. Turin hurls himself up and comes to the place of the dying dragon. 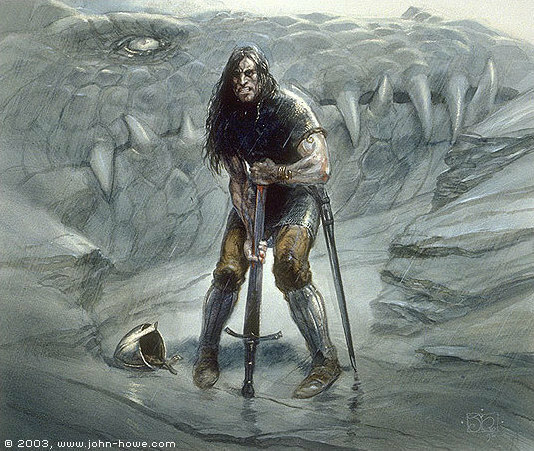 He pulls his sword out of Glaurung along with a spout of poisoned blood. The blood burns Turin, causing him to pass out. The people of Brethil are near and hear the screams of Glaurung. Niniel takes the screams as Glaurung destroying his foes and thinks Turin dead. She rushes out to find him. Niniel comes across Glaurung and Turin, Brandir behind her. Her cries awaken Glaurung. He reveals to her the truth of their kinship, and as he dies his spell upon her is broken. Niniel runs distraught with horror into the forest, where she casts herself into the ravine. Brandir could not stop her and returns to Turin. Dorlas comes across them and after an argument is killed by Brandir. Brandir returns to his people with the news of Turin and Nienor’s deaths. Turin awakes and returns to his people. Upon hearing of Niniel’s death and their kinship he slays Brandir and runs back to Cabed-en-Aras. There he finds Mablung, who confirms their kinship. In grief, Turin casts himself upon Gurthang, ending his life. Mablung and the men of Brethil burn Glaurung and bury Turin. Hurin is released by Morgoth. 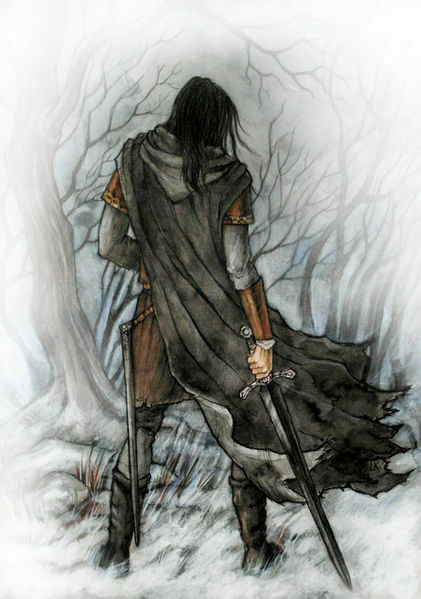 Years later, Hurin, now a broken old man, comes across the grave. 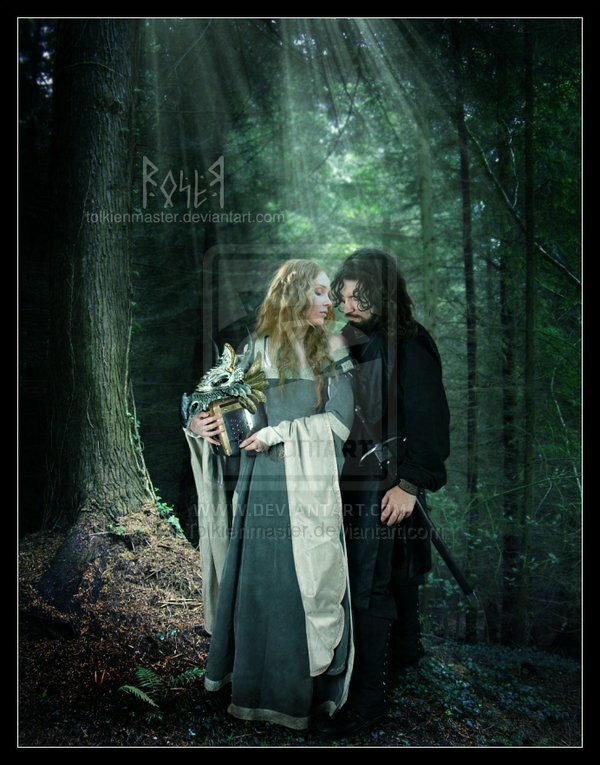 There he finds Morwen and he holds her in his arms as she dies. Adapted from chapters ‘Of Turin Turambar’ from The Silmarillion, ‘Narn i Chin Hurin’ from Unfinished Tales and ‘The Coming of Glaurung’, ‘The Death of Glaurung’ and ‘The Death of Turin’ from The Children of Turin. Hurin is brought before the new Chieftain of the Haleth, Hardang. Manthor defends Hurin. Hurin’s words incite a riot. Hardang is killed. Hurin comes to the gates of Gondolin. He looks to the eagles to bear him again, but they do not come. Thorondor brings word to Turgon, who concludes that even Hurin has surrendered to the will of Morgoth. 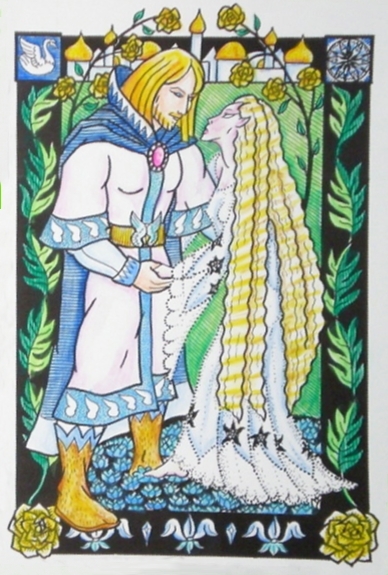 Tuor and Idril are married by Turgon. Hurin wanders to Nargothrond, where he finds Mim. He reveals himself as Turin’s father and kills Mim. Hurin is found by the elves near Sirion and brought to Menegroth. Before Thingol he reveals he has taken the Nauglamir from Nargothrond. He curses Thingol and gives him the Nauglamir as a memorial of the ruin of his house. Hurin leaves Doriath. 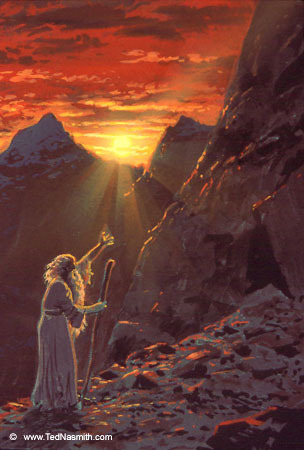 Thingol employs dwarven smiths to set the Silmaril in the Nauglamir. When they are completed the dwarves refuse to give it up. Thingol attempts to take it by force but is slain. The dwarves slaughter many elves and flee. 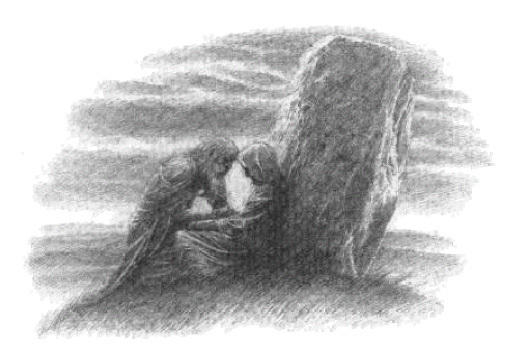 Melian, having lost her husband and daughter, forsakes her body and returns to Valinor. The Girdle of Melian is lifted. Mablung is sent after the dwarves. Mablung catches the dwarves. Outnumbered, the elves are saved by a host of Green-elves, led by Beren and Dior. Beren is victorious and regains the Nauglamir, which he brings back to Luthien. Mablung is killed in the battle. The surviving dwarves are killed by ents in the woods. Dior takes his family back to Doriath, where he is crowned King. 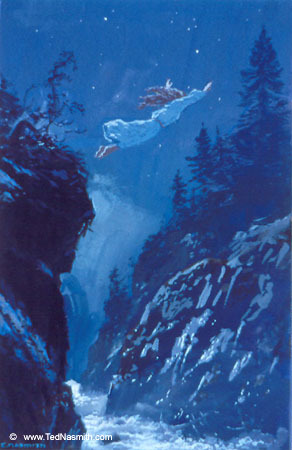 Luthien and Beren die in their sleep, the Silmaril around Luthien’s neck. A Green-elf messenger comes to Menegroth. With him he carries the Nauglamir, which is presented to Dior. Celegorm comes to Maedhros with the news that Dior holds the Silmaril and the Girdle of Melian is broken. Maedhros gathers his brothers and calls upon their oath. Hurin despairs, realising all his deeds only aided Morgoth. He casts himself into the sea. 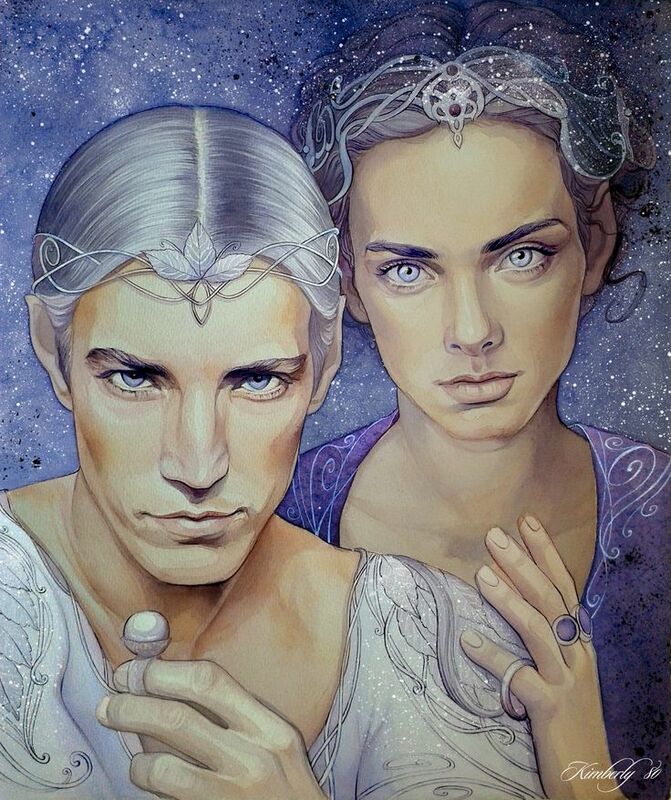 Tuor and Idril present to Turgon their newborn son, Earendil. Adapted from chapters ‘Of the Ruin of Doriath’ and ‘Of Tuor and the Fall of Gondolin’ from The Silmarillion, ‘Of Tuor and His Coming to Gondolin’ from Unfinished Tales, ‘The Wanderings of Hurin and Other Writings’ from The War of the Jewels.